We struggle with resources in Portuguese in our house. We manage to get a few books a year through family or trips and ordering over the internet from abroad but it is all a rather costly affair. Since LJ is now 5 and more interested in printables, I have been scouring the internet for free or cheap printables to learn Portuguese and help her learn about Portugal too (as most materials are in Brazilian Portuguese). 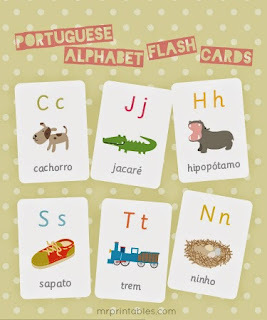 These are in Brazilian Portuguese though and some of the words just don't work for us (trem is comboio in Portugal). 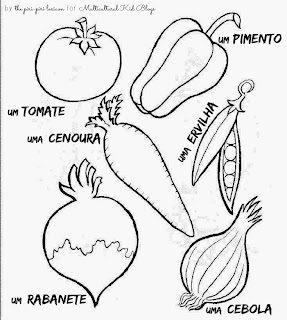 Two pages filled with fruits and vegetables to color with the names clearly labeled. We love these as they are easy to write/copy too. While discovering the Portuguese flag last year during the World Cup, we used this page which has a few printables with activities to do around the flag: colouring, jigsaw, bookmarks, etc. Simple but she loved it. 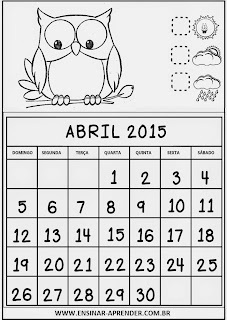 A little calendar with the months and days written clearly and in capitals (important for us right now) in Portuguese. A few simple word searches.... LJ is only beginning to try attempt these but we are giving them a go. 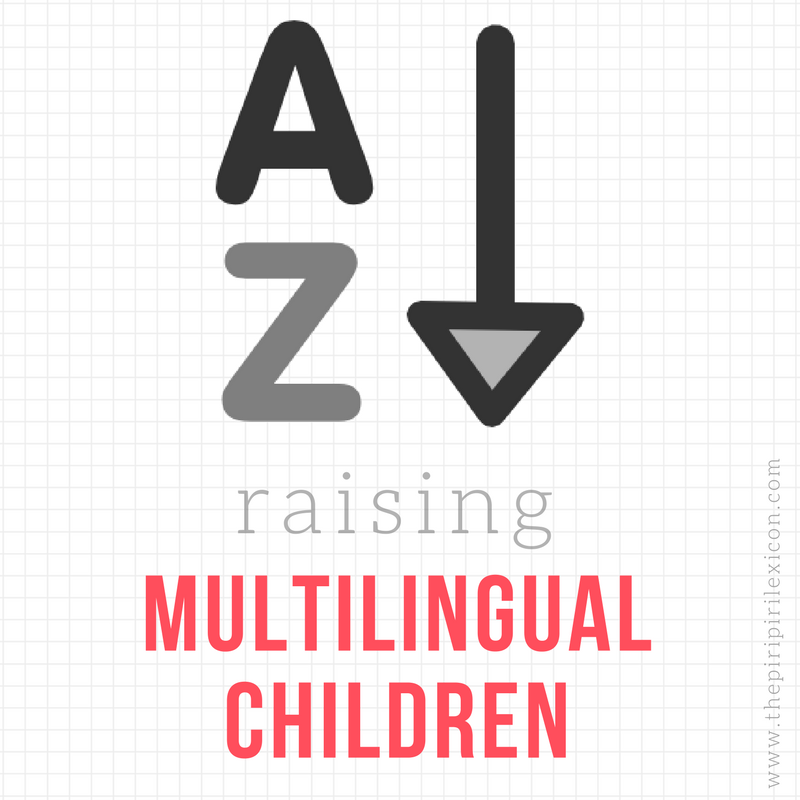 Yes, I know they are in Brazilian Portuguese too... boohooo.... 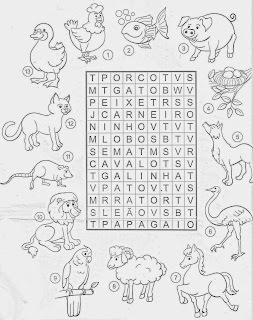 The animal word search is the favourite so far. 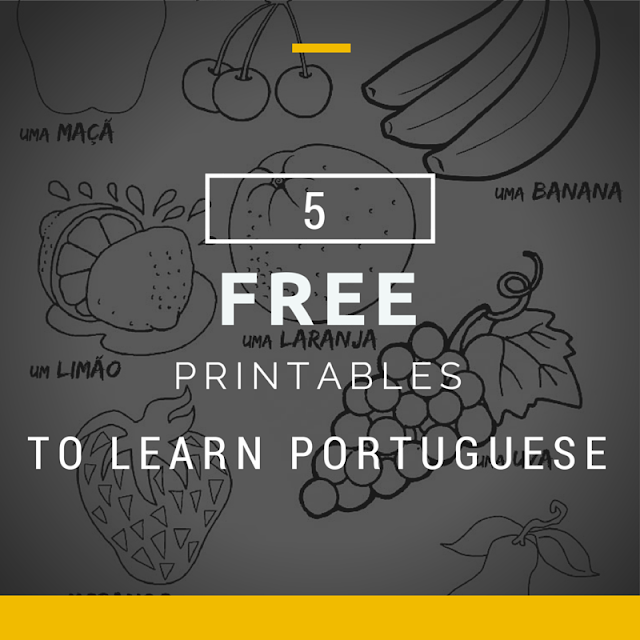 Check out my Pinterest board for more Portuguese resources too. And if you'd like to suggest some, please, o, please, do go ahead.... I would be eternally grateful. Thank you. I am glad it helped.